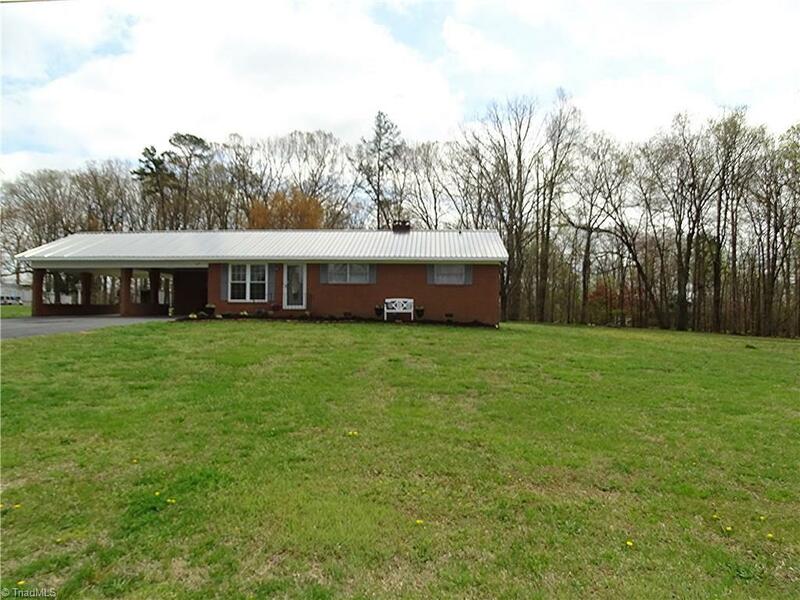 Looking for a one level home in Lexington on 1.4 acres w/ county taxes? Open kitchen, LR & dining area with new flooring, new metal roof in 2018, fresh interior paint, newer carpet in BRS, kitchen has refinished countertops, updated stainless steel dishwasher & stove, master & 3rd bedroom has access to half bathroom, full bathroom features new flooring, freshly painted tile, & countertop, 2 of the BRS each have 2 closets, large laundry rm,level lot, 2 car carport, USDA eligible. Located minutes from I-85.